natalie's sentiments: Fourth of July Tutorial.....almost ready! whipped cream and garnish with blueberries. 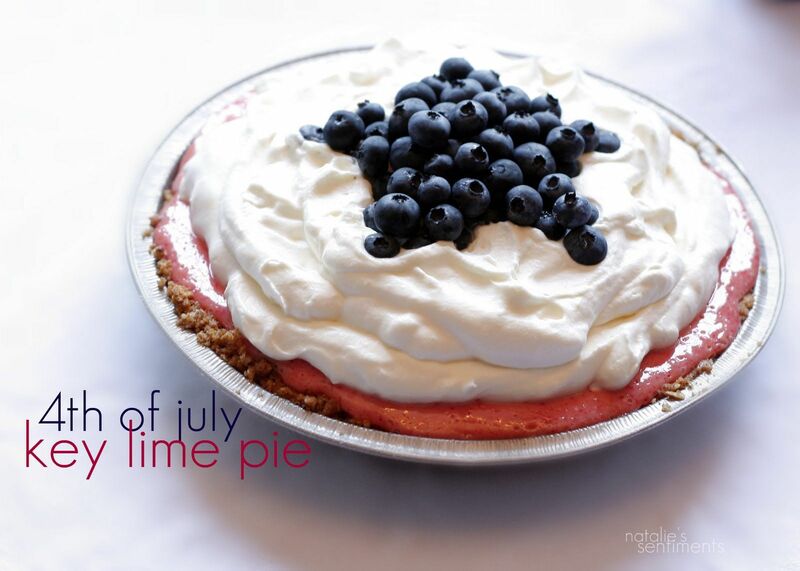 See the rest of my favorite Independence day meal here. The only hong I love more than crafting is key lime pie! This looks so yummy!!!! Any suggestions for substitutes if I can't find the key lime juice in VA? Oh and so glad you aren't in labor!